David Ayer’s film longs to be bad, yet its forced by outside pressures to follow narrow, preset rules. 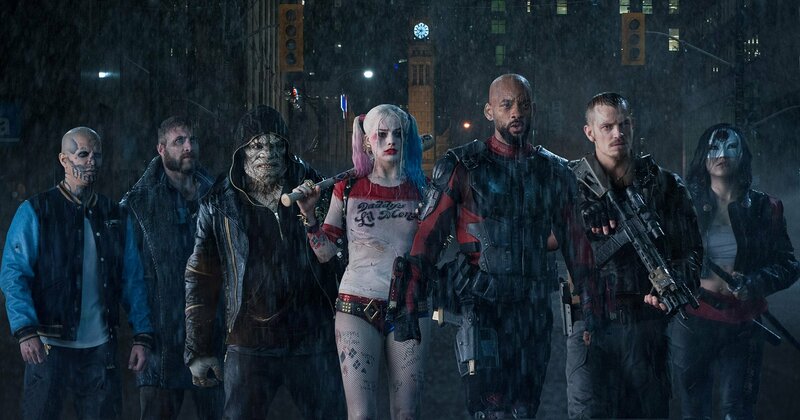 David Ayer’s Suicide Squad, a third-tier DC property about a team of supervillains sent on suicide missions in exchange for time off their prison sentences, is the logical extension of Batman v Superman: Dawn of Justice, in which Batman regarded Superman’s omnipotence and saw only the possibility of its misapplication. If Zack Snyder’s film laid out the individual tensions between heroes who mistrust each other’s motives, Suicide Squad represents the collective response to such potential threats. The squad in question is a bureaucratic fabrication, a secret team designed equally to meet supernatural threats and provide plausible deniability to the government. Centering a film on an ensemble of self-absorbed murderers and thieves provides anarchic possibilities for the increasingly hackneyed superhero genre. But that sense of abandon never materializes. For the first 30 minutes of the film, Ayer simply introduces the team’s members, using the framing device of Waller briefing her superiors to flatly list each criminal’s rap sheet. The director attempts to spice up this roll call with visual diversions like animated text appropriate for each character, such as a steely, businesslike font that lists the weapon proficiencies of assassin Deadshot (Will Smith), or the bad-child bubble letters and tattoo imprints for Harley Quinn’s (Margot Robbie) attributes. In practice, however, the animations come off as a pale imitation of the more energetic incorporation of comic-book techniques in Scott Pilgrim vs. the World. Worse, once the team members begin interacting with one another, we’re in effect treated to second introductions. Things pick up slightly once the team is finally assembled and Suicide Squad lays out its intriguingly warped morality. There’s something to be said for a film that presents an entire group of killers and suggests that Amanda Waller (Viola Davis), the calculating official who conceived the team, is more evil than any of her involuntary recruits. The absent Superman also casts a long shadow over the film; Waller acknowledges his heroism, but in order to justify her clandestine operation, she hawkishly promotes what a malevolent version of the Kryptonian might do to global security. To be sure, this rogue Kal-El of fantasy might have made for a more compelling antagonist than Enchantress (Cara Delevingne), a possessing spirit who spawns nondescript blob people as an army and wants to destroy Earth simply because she’s the villain in a DC film. Recent superhero flicks have suffered terribly from their unmemorable villains, but Enchantress may be the most forgettable yet. Unfortunately, the film never captures the unhinged energy that a story entirely populated by bad guys should. The squad members are never introduced as unrepentantly violent people, but they’re almost immediately defanged by mitigating circumstances that portray them as scarcely different from the prevailing antiheroes of recent comic-book films. If Snyder’s Batman callously killed thugs without compunction and Superman seemed unconcerned with his collateral damage, how can one be expected to hate Deadshot, who wants to reunite with his young daughter, or pyrokinetic gangbanger El Diablo (Jay Hernandez), who’s wracked with grief over accidentally murdering his family? Even Harley Quinn, the film’s wildest card, is softened considerably from her initial introduction, her sociopathic glee muted by her incongruous sympathy for others and fantasies of a normal life. Nowhere is this failure of nerve more apparent than in the characterization of the Joker (Jared Leto). Suicide Squad’s marketing buzz has been built almost entirely around the Clown Prince of Crime, but he only appears in approximately 10 minutes of the film. And despite the endless hype for the supposed intensity of Leto’s on-set method antics, his performance boils down to presenting the Joker as nothing more than a mob boss with a penchant for wild chuckles. Leto’s turn lacks the raw savagery of Heath Ledger’s iteration of the character, and it offers no new outlook on the character to distinguish this Joker from prior interpretations, such as Mark Hamill’s truly unnerving voice work as the character, which began in 1992 with Batman: The Animated Series. Here, the Joker’s single-minded focus on retrieving girlfriend Harley overrides the character’s terrifying spontaneity, turning an agent of chaos into nothing more than a plot device. Leto’s hollow character work matches the empty style of Ayer’s visual rendition of the Joker, all silly tattoos and teeth grills. 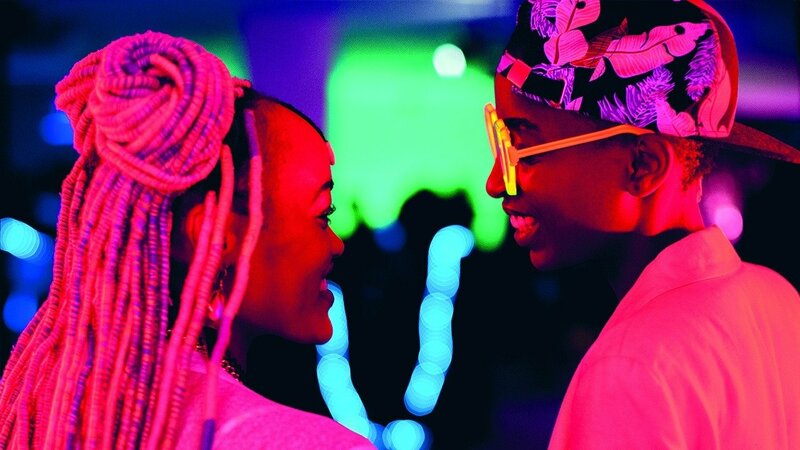 Ayer’s direction aspires to the kind of frenetic pop-trash redolent of Oliver Stone’s most outré work, and coincidentally, the film’s best moments depict the romance between Harley and the Joker similarly to the relationship at the heart of Natural Born Killers. In one of this film’s few mesmerizing moments, the pair leap into a vat of the same acid that disfigured the Joker and share a passionate kiss as their clothes melt off, sending streams of red and blue dye into the dirty yellow liquid. Elsewhere, however, the film adopts the functional shot patterns and desaturated palettes common to contemporary superhero cinema. The hyperactivity that propelled films like End of Watch and Fury is ideally suited to this material, but Suicide Squad never gets to be a manic, freewheeling alternative to the genre’s propensity toward dour severity and increasingly uniform aesthetics. Like the recruited criminals themselves, the film longs to be bad, yet its forced by outside pressures to follow narrow, preset rules.